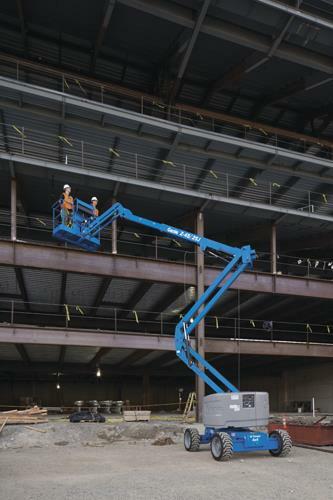 Genie Z45 - 45' 4 Wheel Drive Articulated Boom W/JIB / Gas or Propane on 1 Unit. Other Unit is Gasoline Only ! 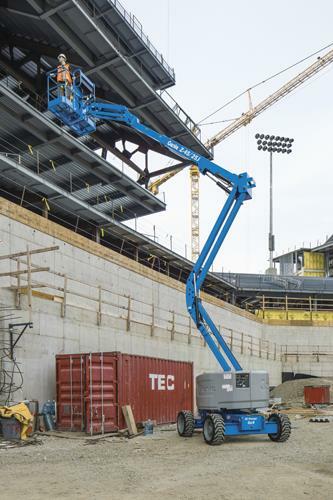 Horizontal Outreach - 24' 8"
Up & Over Clearance Maximum - 23' 5"
Length Stowed - 21' 10"
Weight - Approximately 15,250 lbs. 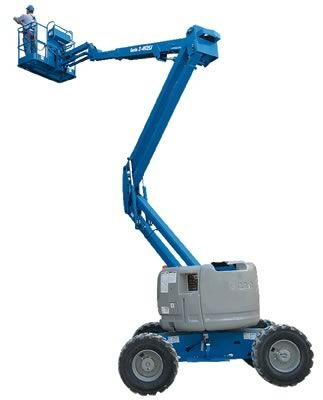 * Please call us for any questions on our lift articulated 45 foot genie 4wd gas boom rentals in Hagerstown MD, Williamsport MD, Martinsburg WV, Waynesboro PA, Mercersburg PA metro areas.